Is there a name for the specific phobia that refers to a fear of haunted houses? Is this a fear or a phobia, and what is the difference? How are specific phobias such as this handled? 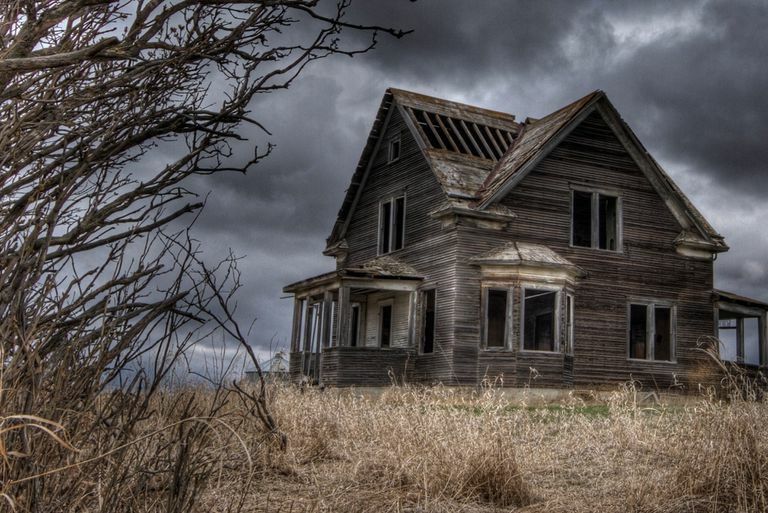 There is no official phobia name for the fear of haunted houses. That said, some people have coined names which resemble the true names of other phobias. For example, you may hear the unofficial term "hauntophobia." While many people develop this fear when they are young, most people outgrow it with time. What happens if you don't? Most of us get a little frightened by a horror movie or even visiting a haunted house exhibit for Halloween. So how can you know if your "fear" is simply a normal fear, or instead, is a phobia? A fear of haunted houses is different from having a phobia about haunted houses. Being afraid of the haunted house is part of the fun. However, a specific phobia of haunted houses or any other object is a debilitating anxiety disorder that can disrupt one's life and get worse over time if not treated. Both fears and phobias can have similar symptoms, including dizzyness, heart palpitations, nausea, shortness of breath. With phobias, however, these symptoms are more severe, and unlike "normal" fears, there is often a preoccupation with the object or situation. The severity - How intense is your fear? Are you afraid to enter a haunted house exhibit or are you frightened of even driving near a place where there may be a haunted house exhibit? Are you a little nervous in your home (or a hotel or another person's home) late at night when you hear strange noises, or do you completely change your plans so that you don't stay in the suspect home? Learn more about how to tell the difference between a fear and a phobia. Social phobias - Social phobias involve a fear of certain social situations. Agoraphobia - Agoraphobia is a type of phobia in which a person has a fear of becoming trapped or unable to leave a situation. Specific phobias - Specific phobias are those in which there is an irrational fear of a specific object or situation. Specific phobias come in four basic types: fears of something in the natural environment (such as tornadoes), animal related fears (such as the fear of snakes), medical fears (such as the fear of blood), or situational (such as the fear of driving). A phobia of haunted houses could be a specific phobia (a fear of a specific object or situation) or agoraphobia (fear of being unable to escape to a safe place when you begin to have a phobic reaction. In general, the treatment of a specific haunted house phobia is easier than some other phobias. It is easier to stay out of potentially haunted houses (at least usually) than it is to avoid a thunderstorm. For someone without a phobia of haunted houses, the potential treatment of this phobia may seem easy, at least if it is not one's residence that is felt to be haunted. Since a phobia is an irrational fear, it doesn't simply work to say "don't worry." That said, a good therapist can be very beneficial in helping a person recognize that their fear is irrational to help her overcome it. Medications - There are several medication options for people with specific phobias. Psychotherapy - Mental health therapy for phobias, particularly cognitive behavioral therapy, can be helpful for those with specific phobias. Of note, is that some of the therapies often used for specific phobias may not be necessary or even ethical with regard to the fear of haunted houses. Even single session therapy has been found to be helpful for youth with specific phobias. Therapies such as exposure therapy and flooding, which essentially expose the person to the feared object may not be necessary. But counter-conditioning, an approach in which people are taught to react to the feared object or situation in a new way by practicing relaxation techniques could be a good choice. Alternative therapy - Therapies such as hypnosis or herbal supplements have not been studied to the degree that other approaches have, but for some people, alternative therapies for phobias may be helpful if combined with the other treatment approaches above. While many people may find some of the specific phobias, such as that of haunted houses amusing, it is not a laughing matter for those who suffer from these fears. Specific phobias can be a source of embarrassment and leave a person feeling isolated and out of control. One of the more difficult ​emotional aspects of phobias is that they are life-limiting in this way. If you have a specific phobia, it's important for your family and friends to understand phobias. You may have loved ones telling you that you simply should not be afraid, but as with other phobias ranging from the fear of snakes to the fear of bridges or hurricanes, simply saying you should not be afraid is ineffective. If that worked, you would not have a phobia. Check out these tips and ideas on living with specific phobias. Ollendick, T., Ost, L., Ryan, S., Capriola, N., and L. Reuterskiold. Harm Beliefs and Coping Expectancies in Youth with Specific Phobias. Behavioral Research and Therapy. 2017. 91:51-57. Ryan, S., Strege, M., Oar, E. and T. Ollendick. One Session Treatment for Specific Phobias in Children: Comorbid Anxiety Disorders and Treatment Outcome. Journal of Behavioral Therapy and Experimental Pychiatry. 2017. 54:128-134.